The Covington Library is hosting an exhibit featuring John James Audubon's Birds of America. During the gala celebrating the book, Brooklyn is approached by Jared Mulrooney, the president of the National Birdwatchers Society, who urgently needs Brooklyn's skilled hands to repair a less high-profile book of Audubon drawings that's fallen victim to spilled wine. But everything runs afoul when Mulrooney is later discovered dead. Rumors fly about a motive for murder. Perhaps Mulrooney wanted to sink his claws into the pricey Audubon book, but Brooklyn believes the man died fighting off a daring thief. Soon danger circles Brooklyn's every move, and it's clear she must find answers before things really go south. Another hit for Kate Carlisle who just keeps knocking them out of the park! 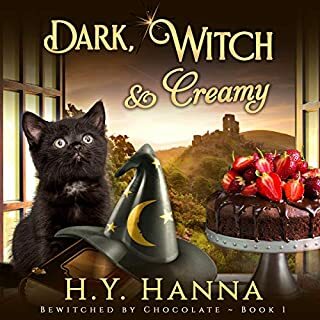 Each book in the series has been a winner and this one is no exception. In fact, I think It's her best so far! Another wonderful addition to this series! Love the characters! Look forward to more! Brooklyn and Derek are a great couple! I'm a commuter so I listen to books all the time. I've listened to every book in this series. Some are not too bad. This was awful. I'm 1.5hrs into it and I know who did it and I'm already annoyed by the lack of growth in the characters. Same ol' story, people, everything. At some point it would be nice if the main character would get some self respect since she's so whiny and unbelieving that anyone would like her - again. This was rushed and just bad. I'm glad Amazon will refund my purchase. All done with the series. This book was thoroughly entertaining. I can't wait for the next in the series. Perhaps Brooklyn and Derek's wedding mystery? This was the best one ever!!!!!! While on vacation, I plan to listen to them all just to get back to this one. I very rarely give up on a book, even if it's not to my liking. This book however was so bad I couldn't stand it... It's badly written in a clumsy language and the dialogs and main characters thoughts were terribly boring and unimaginative - sounded like a good story, but don't waste your money here! 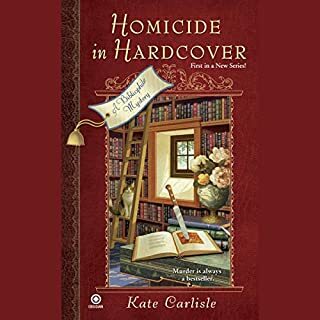 Kate Carlisle's bibliophile mysteries are very entertaining and informative. 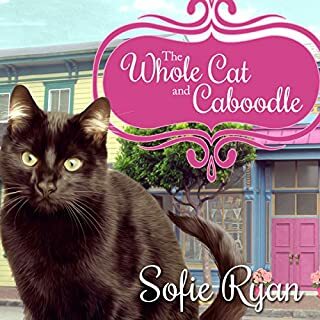 Susie Berneise does a good job with all the varied characters these stories through at her. Truly enjoyable listening. 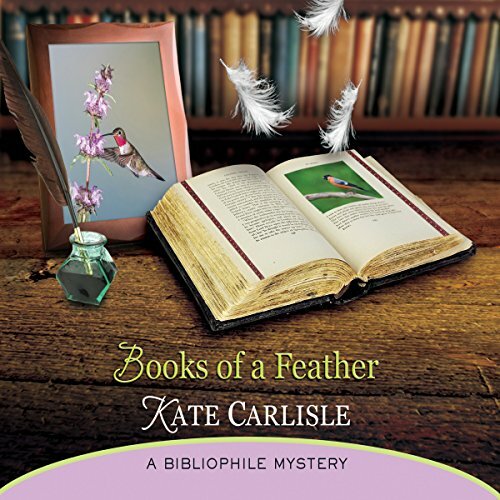 As Books of a Featherby Kate Carlisle opens, Brooklyn comes home to her new fiance Derek, when she hears voices, so instinctively she locks up the eight valuable books she has taken home to restore. She feels a bit embarrassed when she meets Derek’s oldest friend, Crane, a man from China whom the British former special forces operative went to Eton with. Since Crane is an art expert, Brooklyn invites him to a special gala at the Covington Library to display a newly restored copy of John James Audubon’s Birds of America. At the gala, the president of the National Birdwatchers Society, Jared Mulrooney, gives Brooklyn a different Audubon book that he damaged to repair. When the gala is over, Brooklyn finds the body of Mulrooney, stabbed. Things get dramatic as someone keeps trying to break into Brooklyn’s and Derek’s house, and the degrees of violence ratchet up. Brooklyn assumes the criminal is after one of the valuable books she has been restoring, but which book could the criminal be after? 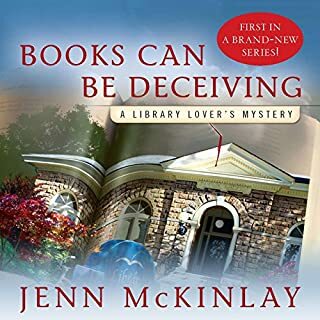 I confess that though Audible has long recommended Books of a Feather and others in its series as one similar to other books I like, I never tried any in this series before today. For some reason, I have not been drawn to the descriptions and reviews of the books I looked at. But I was tempted by Books of a Feather and bought it, but even then it took me a little while to get around to listening to the book. So I was very pleasantly surprised by the quality of this book. I enjoyed the many twists and extra details added into the book. Further, I appreciated the characters and their interdynamics. Brooklyn’s parents were a whole lot of fun as a pair of aging hippies. And the homicide detective, Detective Lee, was nicely drawn. 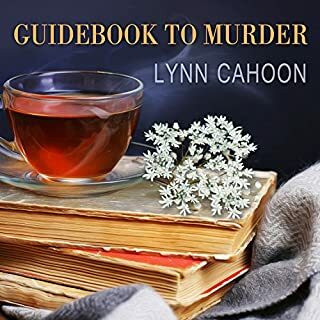 Susie Berneis reads the narration of this audiobook. 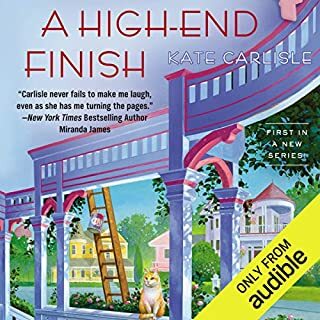 I already enjoyed her performance in Diane Vallere’s Madison Knight series, but she was like a whole different person in her vocal technique. My only negative comment is that I did not find her British accent very believable. I have listened to many books read by British narrators and watched many British television shows, in addition to having friends from the country, and though I do realize England has many accents, someone high class enough to attend the prestigious Eton would have an higher class accent in a country where accent obviously indicates class labels, something shown demonstrated very blatantly in George Bernard Shaw’s Pygmalion. Even more unbelievable was the accent of Crane, who is described as having an English accent, but I think Berneis was trying to add a Chinese undertone to his Etonian accent, which I think was unnecessary. But I have noticed that most American narrators tend to have trouble creating an authentic British accent, while most British narrators seem to struggle with American accents, coming across usually as Texan. So I have to give Berneis a break in her accent. Books of a Feather was a fun book to enjoy listening to. It has a satisfying ending that made us keep guessing which book that Brooklyn has in her possession is the one the criminals are after. I intend to go back and start listening to the series from the start now! I give this book five stars!